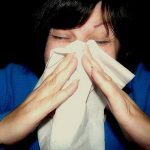 Home » Blog » What Is Asbestos? Stock Environmental has partnered with The Mesothelioma Center to provide important health and safety information about a leading cause of lung cancer, mesothelioma, and respiratory diseases – asbestos. Asbestos is a naturally occurring mineral once lauded for its ability to resist heat and strengthen most anything. It was versatile enough to be mixed with cement, woven into fabric and utilized with hundreds of different products. It made everything better — or so we thought. Unfortunately, it also was highly toxic, turning it from miraculous to menacing as it aged. The unknowing inhalation or ingestion of microscopic asbestos fibers could lead to serious health issues, including mesothelioma, lung cancer, asbestosis and many other respiratory or inflammatory issues. Although the use of asbestos has dropped significantly in recent decades — once its dangers became clear — the threat of exposure remains today because of past use. The real hazard has moved from those making the asbestos products to those utilizing the products still in existence. And there are plenty. Commercial and residential structures built before the 1980s, for example, are likely to have asbestos throughout. If left undisturbed or encapsulated, asbestos poses little risk. But once disturbed, it is threatening. 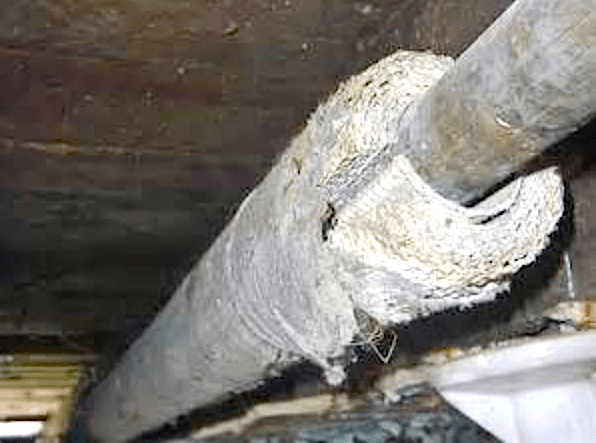 Any remodeling or renovation of a structure, including drilling, sawing, nailing or pounding, can send asbestos fibers airborne and turn it into a problem for anyone nearby. Although there were a myriad of uses for asbestos, its role as an insulator was the most ubiquitous in America and still the one most lingering today. Its effectiveness was never questioned. Asbestos insulation helped lower sound volume, conserve energy and reduce electrical conductivity. Its heat resistance was crucial to reducing the risk of fire. Various forms of asbestos insulation were used in attics, ceilings, basements and walls. It was used with furnaces, boilers, pipes and electrical boxes in homes and businesses. Pipe insulation: Controlled temperatures, especially of hot pipes. If found today, it is often old, crumbly and dangerous. Wall insulation: Managed the temperatures within a structure. It was typically installed behind drywall and between the studs. Attic insulation: Loose-fill insulation can be dangerous for anyone venturing into the attic, especially when dealing with air conditioning, ventilation and heating systems. Block Insulation: This was an easy way to help insulate a home or business by mixing the mineral with concrete blocks to make them stronger. Spray insulation: This type was used everywhere by certain builders. It also was easy to apply and provided thermal protection in walls, ceilings and attics. It often takes an experienced and licensed asbestos inspector to identify the toxic material in products. 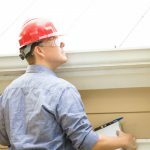 Before performing any renovation or remodeling work on an older structure, it’s wise to have it inspected. Even while living in an older home if there are concerns about possible asbestos products, it is worth an inspection. 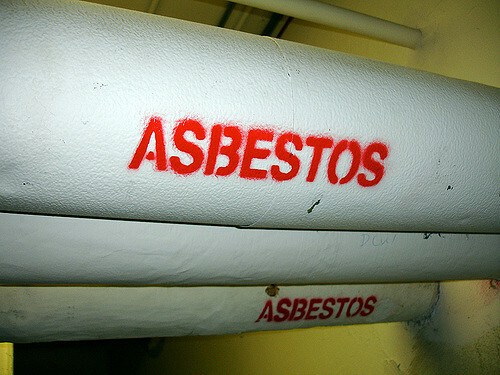 Asbestos abatement could be an option, but it isn’t always necessary or practical. Asbestos exposure is often trivialized by some because the toxic effects can take decades to materialize. Mesothelioma, for example, can take 20-50 years after exposure to be diagnosed. Stock Environmental is an environmental consulting firm servicing all of New Jersey and New York. If you have questions, or would like to schedule an inspection, give us a call at 732-383-5190 or e-mail info@stockenvironmental.com.